PoPville » The State of DC: When Should You Sell? The State of DC: When Should You Sell? This column is written by Metro DC Houses, a local real estate team serving DC, MD, VA made up of Colin Johnson, the immediate past President for the D.C. Association of Realtors and Christopher Suranna, the current President for the D.C. Association of Realtors. Should you sell a 6-bedroom, 2-half bath, Renovated House in 2018? The real estate data says Yes! This month we ended up with some interesting conclusions after taking a look at some of the relationships between sales price, bedroom counts, square footage and condition for all of the 3,442 sales of houses (fee-simple) that have occurred in the city in 2018. 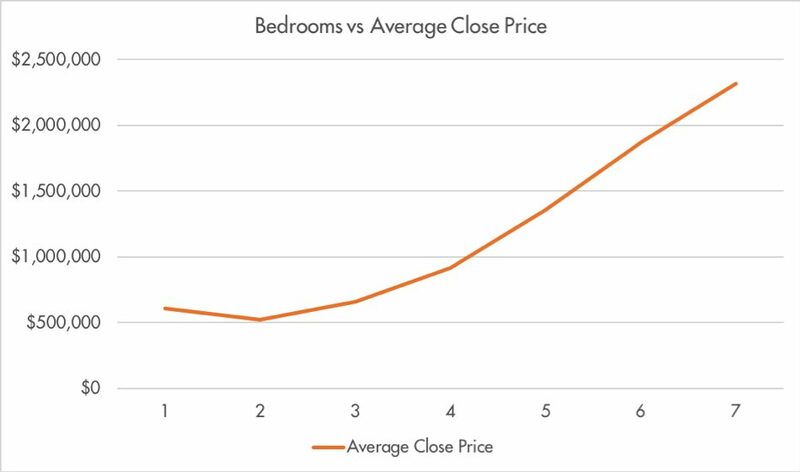 While the overall direct relationship between average close price and higher bedroom counts seems normal, one thing that jumped out at us was the slight dip in sales price when going from a one-bedroom single-family home to a two-bedroom. This could be due to the fact that lots that are unimproved are still input into the Multiple Listing Service (MLS) as single-family homes and the MLS requires these listings to have at least one bedroom for them to count as houses. 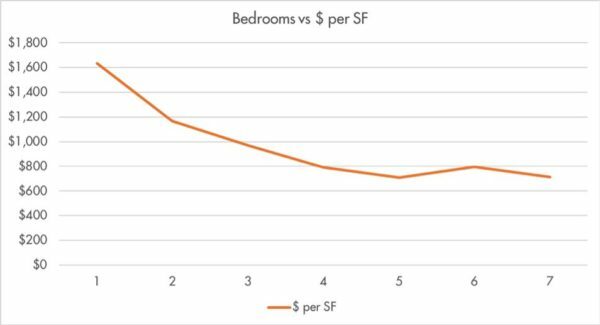 What is the Ideal Number of Bedrooms for Value? 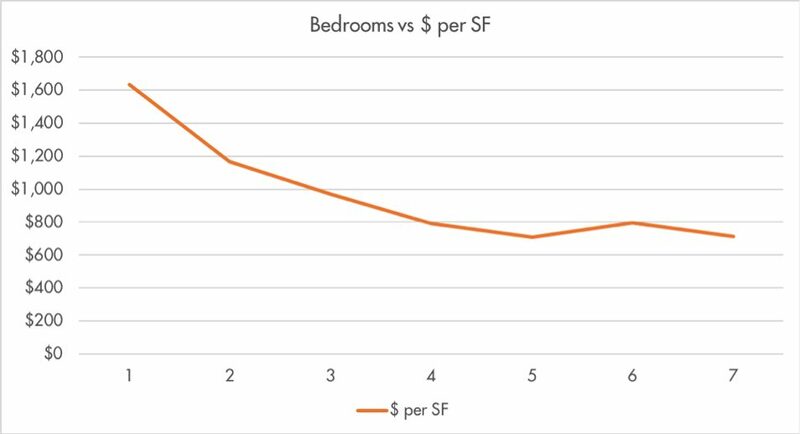 The cost per bedroom generally declines as the bedroom count increases. However, the thought was that maybe clients would pay a slight premium for homes with 3 or 4 bedrooms, but based on the findings it appears that this year 6 bedrooms homes sold for a slightly higher price per square foot than other bedroom counts. There are not a lot of 6-bedroom homes in DC so maybe that has created a slight statistical anomaly. Does Having a Half Bath Pay Off? You better believe it! And strangely enough, having a second half bath helps out even a little more, especially when it comes to final sales price. It does not increase your money per square foot, but the closing price is still significantly larger in homes with half baths due to their generally larger size. Should You Sell Your House “As-Is”? This one is tricky. When listing agents designate the condition of the home they are putting on the market, they have the option of selecting multiple different combinations or nothing at all in the MLS. We took a look at all possible combinations and, as expected, the combination for “Shows Well, Restored” get the highest average price out of the most commonly used property conditions (we excluded condition labels that had less than 5 sales in 2018 to avoid any outliers). The “As-Is, Fixer-Upper, Needs Work” combination get the lowest price, but it also gets some of the highest dollars per square foot. Why might these properties get a higher price per square foot? Well, first we pulled data from the field with total square feet, and this data-point in the MLS either pulls directly from the tax record or is altered by the agent entering the listing information. This reinforces our view that there are a lot of incorrect (or outdated) tax square footages in our system or agents may not want to include them because they don’t know it or don’t know that the one on file is wrong. What About a Renovated/Updated House? Should You Sell that One “As-Is”? We know that in some competitive neighborhoods, buyers may have to opt for pre-sale inspections or writing an offer as-is in order to forego contingencies at the time of their offer. However, listing a property “As-Is”, no matter the situation, will generally get you a lower price.